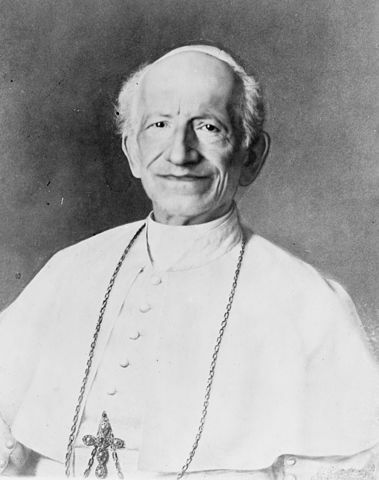 Pope Leo XIII provided some important teachings in his Encyclical Rerum Novarum (“of new things” or “condition of labor”) on the natural origin of marriage and family life, an area in which he warns civil government intrusion would be “a great and pernicious error.” His warnings are particularly germane to recent governmental attempts to redefine marriage and family life as something other than that ordained by God. This entry was posted in Essays and tagged Civil Government, Family, Family Life, marriage, Marriage Ordained by God, Natural Origin of Family, Natural Origin of Marriage, Pope Leo XIII, Redefine Family, Redefine Marriage, Rerum Novarum. Bookmark the permalink.